Oh dear, there’s this photo that has been trending on twitter for hours now…it’s so disgusting! 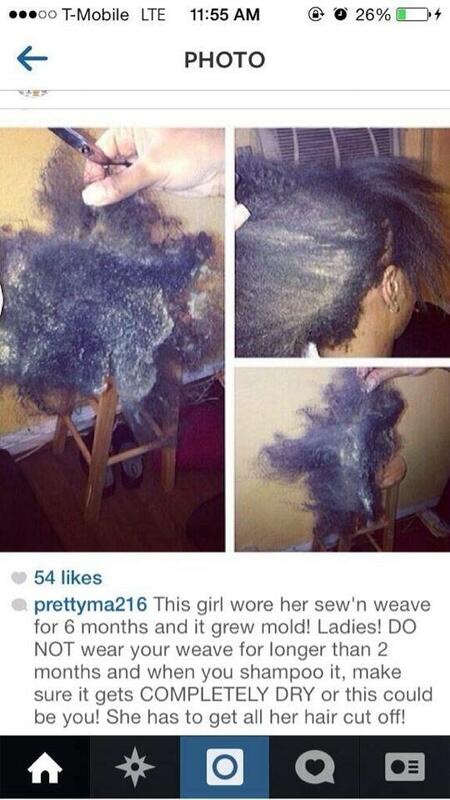 girl wore her sew’n weave for 6 months and it grew mold! Who knows what Peter Okoye is up to??? How can u leave a weave on ya head for 6 months? Lmao @Anon 20:08. ur head is def off ur head now… if 6months= chop hair off then 8months = chop Head off. Disgor buruku!